A man was at a casino visit when a roulette ball hit him in the eye. As a result he has filed a lawsuit against the casino where the incident occurred. Already sounds quite like “only in America” ​​or not? The man was playing roulette in the Maryland Live Casino! in Hanover, Maryland, when a roulette ball unluckily bounced off the wheel and hit him in the left eye. The bizarre incident took place already in December 2013 and is now a lawsuit. The man thinks the casino employee was negligent and that he has now eye problems because of them. 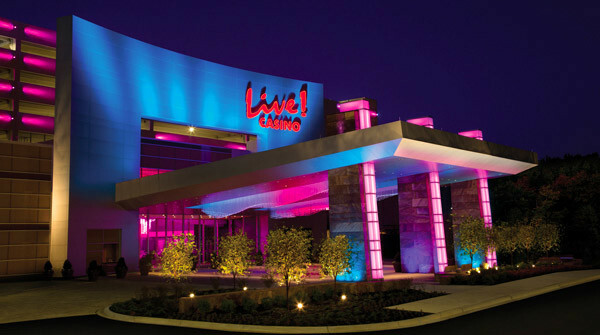 Maryland Live Casino owner Cordish Companies wanted the case dismissed, but a judge rejected this. They tried to argue that they were not responsible as a company, but the judge ruled that the information on their website made it clear that they are indeed the owner and manager of the Maryland Live Casino! The incident was aggravated by a guard causing more pain and bruises when he tried to treat the man after the incident by pouring an unknown liquid into his eyes without consent of the victim. The man now claims blurred vision and became disoriented. He then tried to get up, but fell as a result of his disorientation and hit his head on the ground and lost consciousness. He was then taken to hospital and treated for a concussion and his eye. The man claims he has blurred vision since the incident, has coordination problems and frequent headaches. He is trying to claim damages of $ 300,000. The casino has not commented on the case. It seems that for the time being the man will “rien ne voire plus”. We encourage the man to play online roulette henceforth, that’s a lot safer!